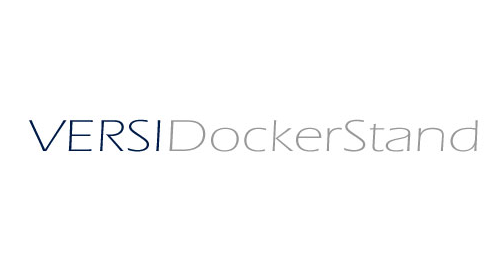 We recently had a chance to speak with Dale Rorabaugh, the creator of the Versi Docker Stand. The Versi Docker Stand is really an interesting approach to a tablet stand/dock, and looks supremely useful. The Versi has successfully reached its funding goal on Kickstarter. Rorabaugh Designs is a firm based in Healdsburg, California that incorporates an innovative and highly sophisticated sense of style to their products typically made of up-cycled materials. Among their successful products is the Lumia LED desk lamp that uses an innovative adjustable dual pivot arm also incorporated in their latest product the VERSI Docker Stand. We love designing products that people like and that they will use. My name is Dale Rorabaugh and I’m the creator of the Versi Docker/Stand. I’m passionate about designing and building things that work. I’m and optometrist, scientist and industrial designer. After being frustrated with iPad stands that either don’t stay in place or ones with sticky suction cups that lose their adherence, I decided to make one that is universal for all tablets and smartphones while having the option of charging your device at the same time using our cable management system. After several prototypes, the Versi Stand has been finalized. We took this project a littler further and said why not dock and hold two devices at once. If you have a smartphone and a tablet, why not dock and hold them on the same platform? Using our unique Cable Management System allows this to happen. Dale has a long history of bringing innovative instrumentation to market with over 20 years designing and building products. He has 22 years in the medical, dental and instrumentation fields and has been awarded several major patents as well as patents pending. Dale also has extensive experience in manufacturing producing over 15,000 instruments of various kinds. Right now we are previewing the VERSI on Kickstarter and it was funded in three days. The success of this campaign will allow us to continue producing it. We’re passionate about what we do and take pride in making things in the USA and keeping it local.